During the last 12 years, we already conquered 215 locations! with Kampfar, Fejd, Odroerir a.o. with Lacrimas Profundere, Cypercore a.o. 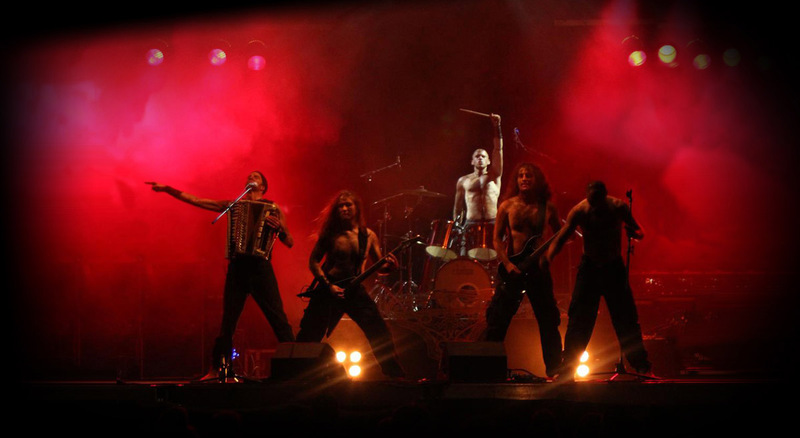 with Turisas, Týr, Svartsot a.o. with Aura Noir, Cruachan a.o. with Toxic Waltz, Pain a.o. with Nargaroth, Black Messiah, Suidakra a.o. with Elvenking, Firtan, Evertale - and everyone! with Hamerfall, Alestorm, Grand Magus a.o. with Sodom, Primal Fear a.o. with Moonsorrow, Firtan, a. o.
with Helloween, Eluveitie, Primordial a.o. with Finntroll, Nargaroth, Tyr, Nader Sadek, Negator a. o.
with Nightwish, Cannibal Corpse, Cradle of Filth, Trollfest, a. o.
with Finntroll, Heidevolk, a. o.
with Behemoth, Graveworm, Endstille, a. o.
with Hammerfall, Cradle of Filth, Behemoth, Eluveitie, Trollfest, a.o. with Excrementory Grindfuckers, Suidakra, Trollfest, a.o. with Cryptic Forest, Invoker, Arroganz, a.o. with Odroerir, XIV Dark Centuries, Craving, a.o. 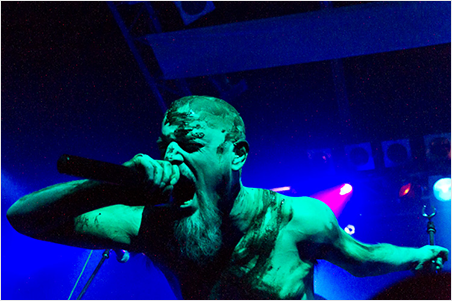 with Moonsorrow, Behemoth, Skyforger, a. o.
with Grand Magus, The Privateer, a.o. with Rammstein, Grave Digger, Ihsahn, Motörhead, Alice Cooper, Nightwish, Die Kassierer, a.o. with Cryptic Forest, Dordeduh, Adordned Brood, a.o. with Cryptic Forest, Keitzer, Boiler, Necromorph, a.o. with Tim Beam, The Hellcall, Selfmade Saviour, a.o. with Naglfar, Aborted, Warbringer, a.o. with Cryptic Forest, Unlight, a.o. with Akrea, Endstille, Minas Morgul, u. a.
with Cryptic Forest, Ahnengrab, Strydegor, Fejd, Dordeduh, Tyr, a.o. with Cryptic Forest, Kalmah, Svartsot, Kromlek, a.o. with Gwydion, Nachtgeschrei, Trelleborg, Haggard, a.o. with Cryptic Forest, Grailknights, Kissin Dynamite, a.o. mit Skyforger, Odroerir, Fejd, u.a. with Vader, Norther, Krisiun, Graveworm, Rotting Christ, Debauchery, Sear Bliss, a.o. with Septimbears, Spit Out, a.o. with Finntroll, One Man Army, Wolfchant, a.o. Two concerts with different setlists! With Helfahrt, Thyrfing, Finntroll, a.o. with Trollfest, Exrementory Grindfuckers, Sepulcrum, Gedankentod, Course Death, a.o. with Endstadium, Dystopia, Stahlmagen, a.o. with Abrogation, Aeveron, Ahnengrab, Azahel's Fortress, Ctulu, Draugr, Elivagar, Handful Of Hate, Kromlek, Heathen Foray, Manegarm, Minas Morgul, Northland, Obsurity, Panychida, Slartibartfass, Trimonium, a.o. with Disbelief, Echoes of Devastation, Contradiction, a.o. with Unlight, Sanatorium, Die Pest, Ultrawurscht, a.o. 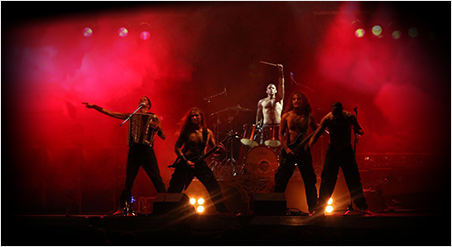 with Koorpiklaani, Tyr, Kivimetsän Druidi, Alestorm, Yggdrasil, Midnattsol, Melechesh, Heidevolk, Fjoergyn, Arkona, Adorned Brood, a.o. Supportive concert for Rock Rainbow! with Equilibrium, Apokrypha, Asmodi, Creature, Fimbulthier, Fjoergyn, Kromlek, Minas Morgul, Slartibartfass, Thiasos Dionysos, Varg, Wolfchant, a.o.